Pre-school teacher Fiducia Lee considered her father as a typical Asian parent — restrained in expressions of love and affection, but uses acts of service to demonstrate his love. Growing up, she often hesitated from sharing honestly with him because she was afraid of his criticisms. While she knew her father loved her through his actions, she felt it wasn’t enough. When she and her father attended Date with Dad in 2013, it transformed their relationship. She had just broken with her boyfriend, and was struggling in her relationship with her parents. Calling it the “turning point” for them, it helped Ms Lee realise her father’s deep love for her. 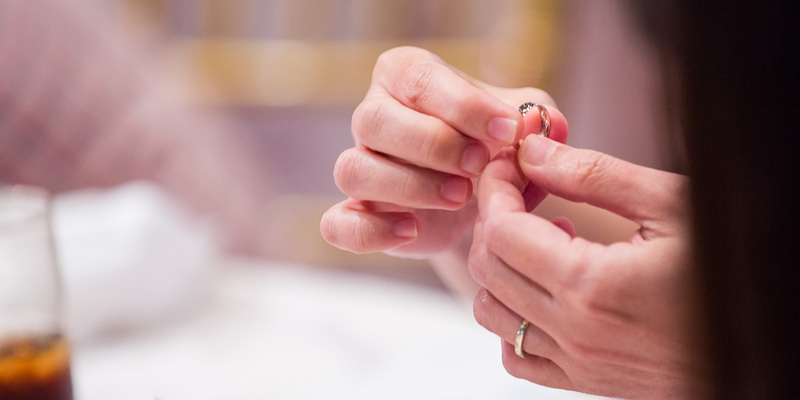 Keeping the ‘Worth the Wait’ ring and event photos close to her, these items serve as reminders of the special date and the affirmation he gave her then. Five years on, she acknowledges that they’re still working on their father-daughter relationship but have come a long way since. 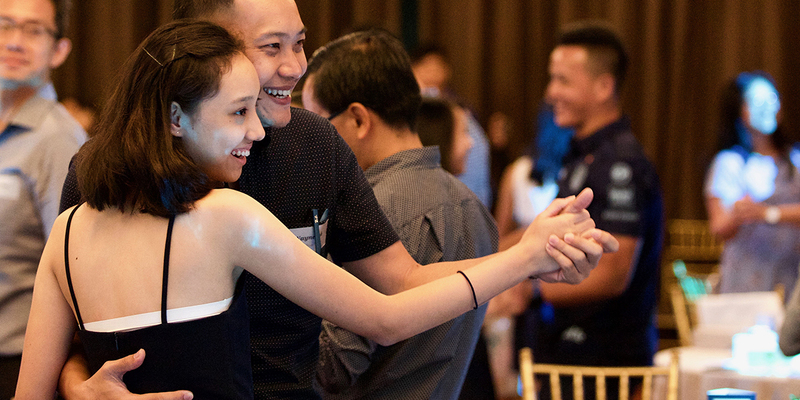 On 7 April 2018, Focus on the Family Singapore celebrated their 10th anniversary of Date with Dad with over 320 fathers and daughters strengthening their bond through letters of love and affirmation. Date with Dad was the turning point in their father-daughter relationship. 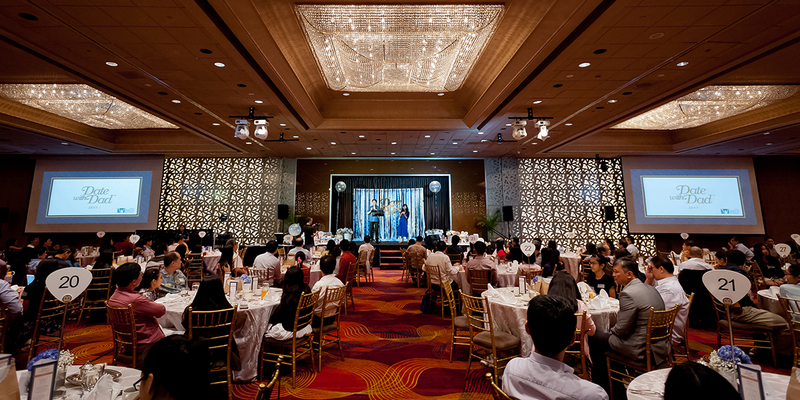 This year, the high-tea event culminated in a father-daughter dance, ending on a sweet note of fatherly tenderness and commitment. One participant, Wayne Toh, said that he became more aware of his natural protective instincts over his daughter when they shared this dance, and it was an unexpected emotion that topped off the afternoon for him. From its humble beginnings at the now-defunct Big Splash to the finer touches of the Grand Mandarin Ballroom at the Mandarin Orchard Singapore, Date with Dad has come a long way, but not without the support and sponsorship of partners like OUE, Mandarin Orchard Singapore, and other prize sponsors this year like Jill Lowe and Sentosa 4D Adventureland. The real estate developer has demonstrated its steadfast support for Date with Dad, this year being their 5th time sponsoring the event. Research consistently shows the positive impact that affirming fathers have on their daughters’ sense of self-worth and confidence as they enter womanhood. Positive father-daughter relationships lead to healthier romantic relationships and friendships. These young women tend to have a better understanding of what it means to be treated with respect and how to treat others, especially within courtship and marriage. A union built upon mutual respect and love will also encourage healthier families. Positive father-daughter relationships lead to healthier romantic relationships and friendships. Ms Lee’s ex-boyfriend knew how to woo her, and capture the affections of her heart, but deep down she knew it wasn’t a healthy relationship. Upon reflection, Ms Lee shared that fathers have to realise their key role in showing affection and conveying a secure sense of identity to their daughters. A father is indeed irreplaceable in his daughter’s life, and the impact he has can never be erased. Join us at our next Date with Dad! What Kind of Child Do You Want to Raise?